Have a idea to improve your sales and conversion? A certain sign sample or print media? Let us know! 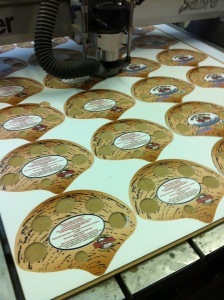 We’re always looking for large format print products to add to our nationwide menu of services. Floor graphics? Lintec window films? Prints direct on glass? All of these grand format print services have recently been requested and fulfilled! We’re happy to assist with your large format printing file preparation, and will review all files prior to printing to ensure proper color and resolution for exceptional quality printed vinyl output. Samples are a great way to sell more UV flatbed and latex printed vinyl banners, wraps and signs. We’ll be happy to send specific sample print medias with UV-curing ink or HP industrial latex ink. Dye sublimation printed samples are also available for those interested in our fabric printing services. Our FAQ answers many of the common grand format print questions you and your clients may have. The promotions page brings you our current specials—help stretch your clients sign and banner marketing dollars for maximum marketing impact. We offer seasonal specials such as golf tournament signs, concert and venue signs, stage banners and backdrops and fishing tournament graphics.